After weeks of sleepless nights in Tokyo hotel rooms, five Canadian families will finally be able to return home with the Japanese-born children they are adopting. After many sleepless nights in Tokyo hotel rooms, five Canadian families will finally be able to return home with the Japanese-born children they are adopting. After weeks of being caught in bureaucratic confusion over cross-Pacific adoptions, the Canadian Embassy in Manila has issued the necessary visas for the children to return home with their adoptive parents, according to one of the parents involved. 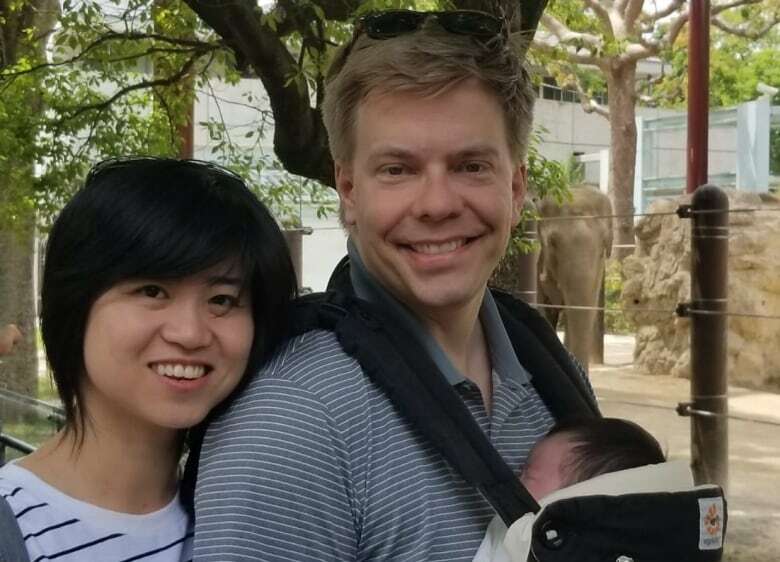 Ryan Hoag and Wiyani Prayetno, who live in Coquitlam, B.C., travelled to Japan last month, and first held their newborn daughter on May 9. They said they should have received her visa within two weeks so they could return to Canada as a family. 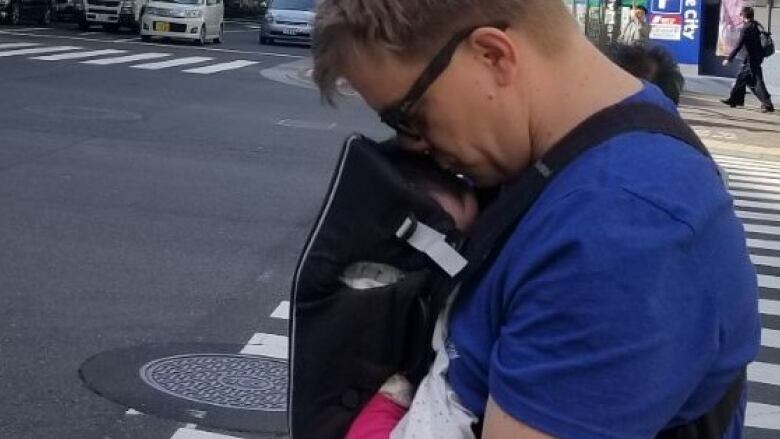 But as the bureaucratic challenges dragged on, Hoag eventually had to fly back to Canada on June 1 to care for his father, who had fallen ill.
Prayetno remained in Japan with their 10-week-old daughter, staying in a Tokyo hotel. Hoag said he received the news that the permanent residency visa had been issued in an email on Friday. "I'm booking a ticket as we speak to fly to Tokyo to hug my wife and beautiful baby girl and to bring them home right away," Hoag said. "I don't anticipate I'll be getting any more sleep than I have been getting over the past few weeks, but I won't be getting it for all the right reasons." The central issue with the visas was an April 13 notice from the U.S. government, which says it was told by the government of Japan that all inter-country adoptions of Japanese children require authorization from the courts in Japan. To date, Canadians haven't required that authorization to adopt children from Japan. But Canadian officials told adoptive parents they need clarification from the Japanese government to make sure that no one is breaking the law. Until that clarification arrives, Canada said it would not issue visas for babies adopted in Japan. Though Hoag is relieved, he said he's received little information as to why the visas were eventually issued. "The email just kind of outlined the government's assistance in making sure we got home expediently without any issue. Certainly there are some unanswered questions." Hoag said he hopes his experience won't discourage other people from considering international adoptions. "Clarity needs to come forward about where the ball was dropped in the bureaucracy and make sure this doesn't happen to any families again," he said. "Some people have asked me if it's worth it and I said even in the deepest darkest moments of dealing with the situation, there's no negative that can possibly take away the experience of embracing your child and bringing them into your family."